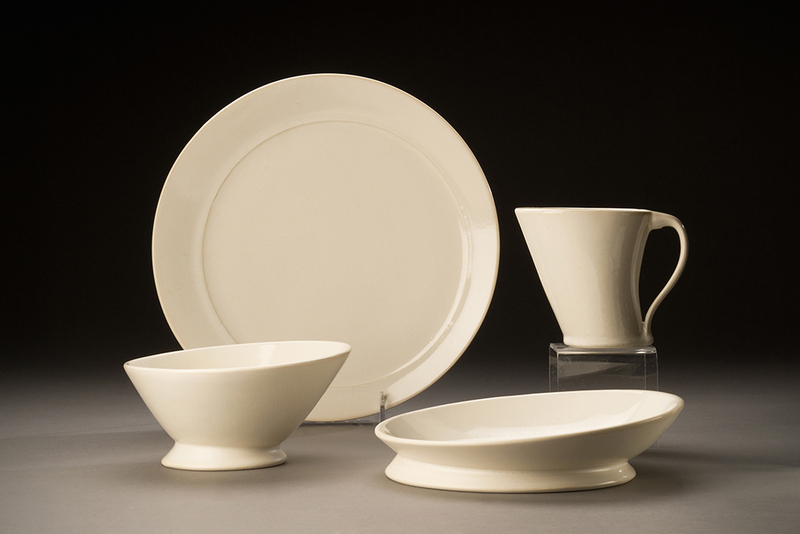 Curator’s Statement: The rituals of dining and the discipline of design have a shared history. Each in its own way has informed the other, changing with trends, taste and time. 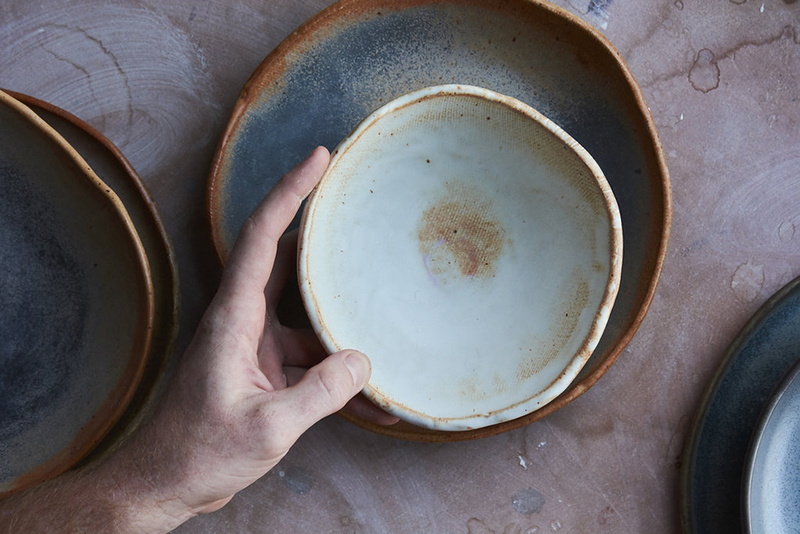 In our fast paced, disposable world, the art of the beautiful table is part of a quiet revolution led by ceramic artists who are uniquely positioned to bring us back from the brink of mindless consumption to thoughtful interaction with the handmade. 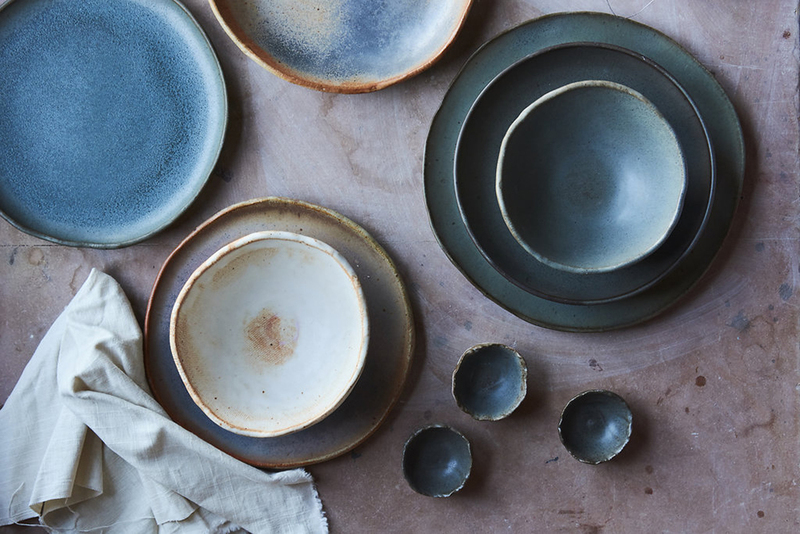 Armed with the conviction that handmade objects elevate the experience of the meal and enhance the beauty of food, the artists in this show bring a fresh perspective to tableware. In creating work for home and restaurant use, they embrace slowness and encourage deliberate acts of sight and touch. To engage with these pots is to accept the challenge of noticing, savoring the flavors and the season and the indelible mark of the maker. Having a background in the kitchen of fine dining farm-to-table restaurants, the importance of community and food have a huge impact on my work and are at times the driving force behind it. Just as the relationships within a restaurant are vital to the Chef’s final dish, I believe that a collaboration with the Chef, the cooks, the dining staff, and the diners themselves is an integral part of my process and has a great influence on my work. In making a plate for a restaurant the desire to impart my own personal creativity and artistic touch must be balanced with restraint and simplicity in order to create a final product that not only stands alone as a piece of art but can be subtle enough to act as a canvas for the chef to showcase his own works of art. There is a special connection that exists between the earth and food that I believe is integral to the dining experience, and is further highlighted by the vessels we use to serve, present, and consume this food. The importance of the story behind a plate of food, the dirt that nourished a carrot, dug up by the farmer, prepared by the chef, and served by the waiter, is as important to the dining experience as the food itself. And just as the story can improve the diners final experience of that carrot, I believe that the plate on which it is served, and it’s story, from the earth to the table, is just as powerful. 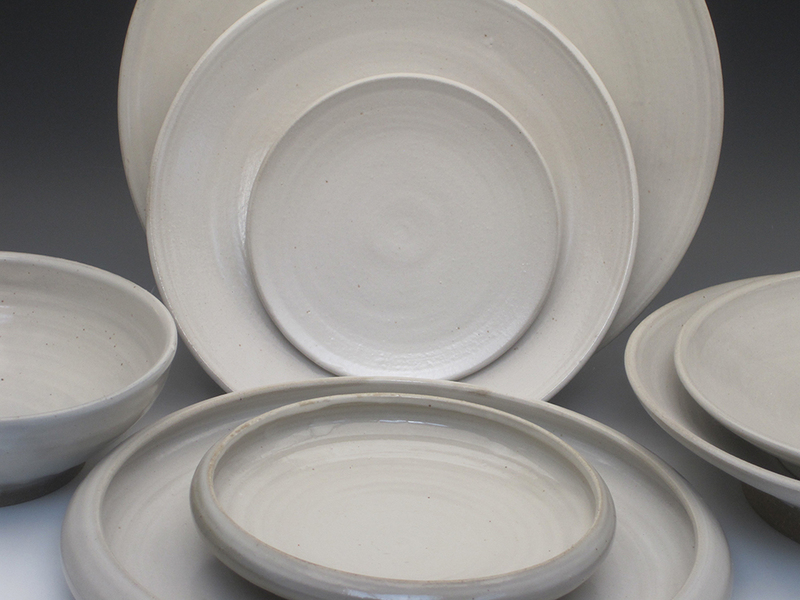 For the six or seven years I’ve been making dinnerware for restaurants. This has been a big change in rhythm for me. I’ve gone from making runs of about two or three dozen pots at a time to making 50 or even 100. The challenge has been to keep the potting alive. I’ve thrown every pot on my kick wheel, trimmed each one myself. I realize what the chefs are after is a human touch, and specifically, my human touch, and that cannot be delegated. People have expressed surprise that I’ve thrown every plate and bowl in orders of 1200 pieces, but this is what potters always did! Make pots! And some of those rather quickly made pots are the ones we revere today as tea bowls or museum quality examples of pots from earlier times. The other change this new work has brought is greater humility. It is a potter’s delight to decorate and has always required great restraint on my part not to go overboard. The chefs ordering my dishes are going to decorate them with carefully prepared and plated food. I am making canvases for their paintings. It is a humble art but also an honor to work with these incredible artists. Their work is like a performance piece that gets performed night after night, tested by the irrefutable standard of being eaten! It had been my dream for many, many years to supply good restaurants with good dishes. Finally the world has caught on! At least for this moment it is possible to get really good food on dishes that are made with the same care that the chefs put into their food preparation. I’m enjoying it immensely. 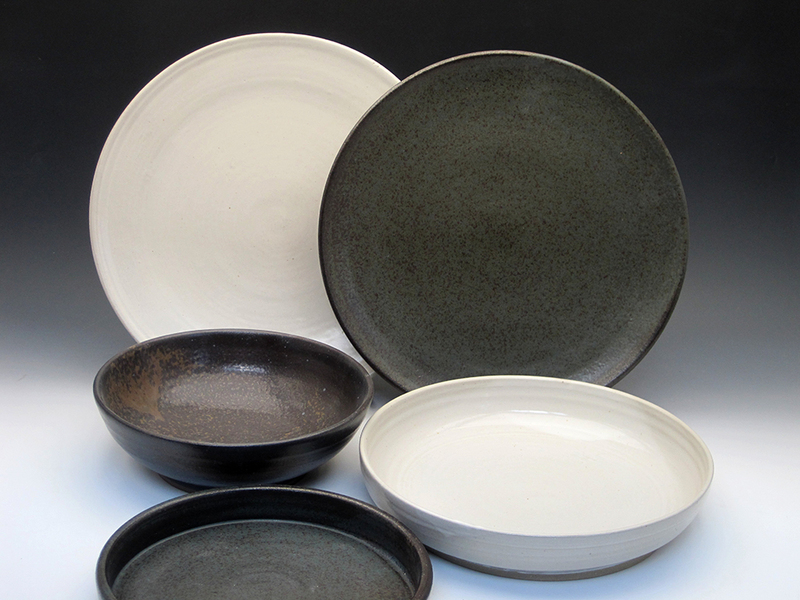 As an artist, my choice to create contemporary tableware is a direct response to my relationship with food. 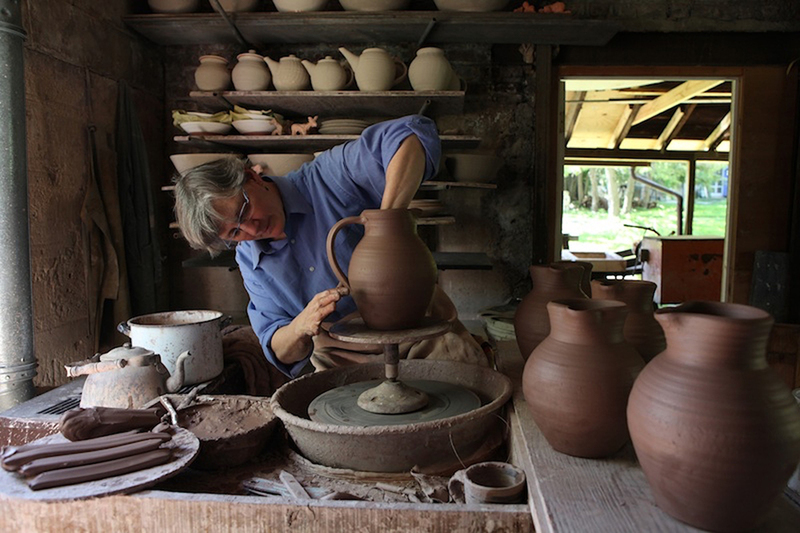 For over a decade I have worked with clay to develop new solutions to one core question: How can the thoughtful design of handmade vessels encourage a reconnection to the food we eat? Over the years I have answered this question with varying levels of precision. I make work that ranges from utilitarian tableware to very specific presentation vessels, designed to use the natural beauty of locally grown vegetables as a starting point for their own celebration. Along with the reconnection to nature through food, the visual quality of my work also has an underlying common thread. Through form and surface, the pieces I create always harbor a distinct message of labor, process, and care. 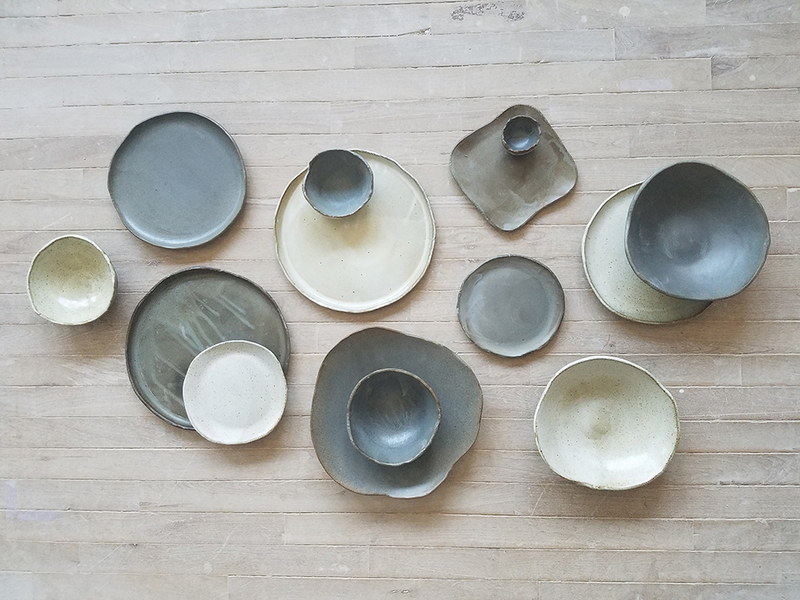 Much like the methodical practice of sprouting, transplanting, and growing organic food, the forms I make are created through the slow and deliberate act of forming the clay. 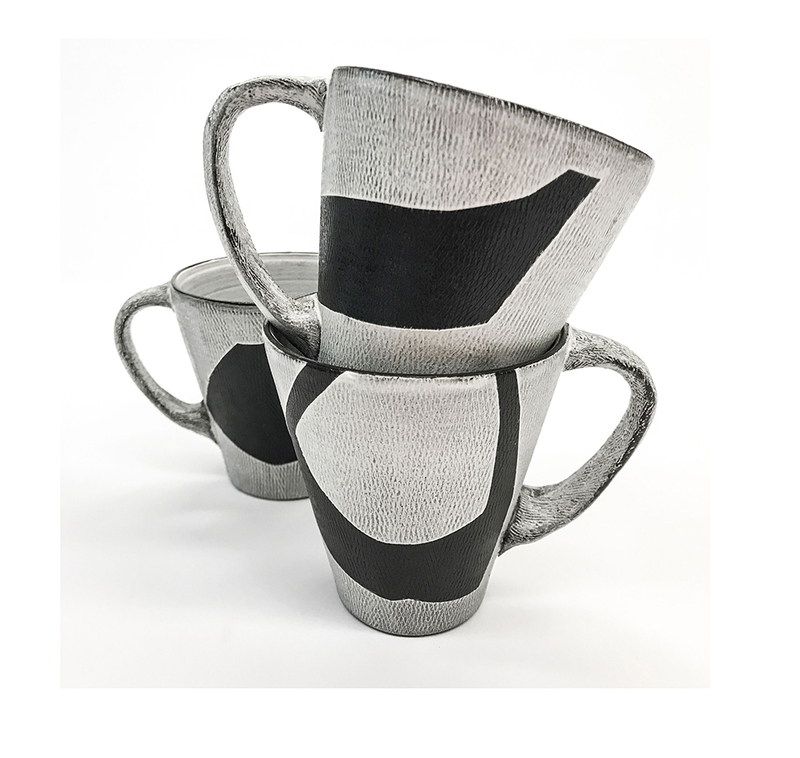 My ceramic vessels reflect a sense of history and labor through their surfaces. These imperfections purposefully mimic a surface worn from use. This aesthetic of age, when combined with a minimal and sophisticated form, presents the food in a way that brings the wisdom of old objects into the contemporary realm of food production and presentation. 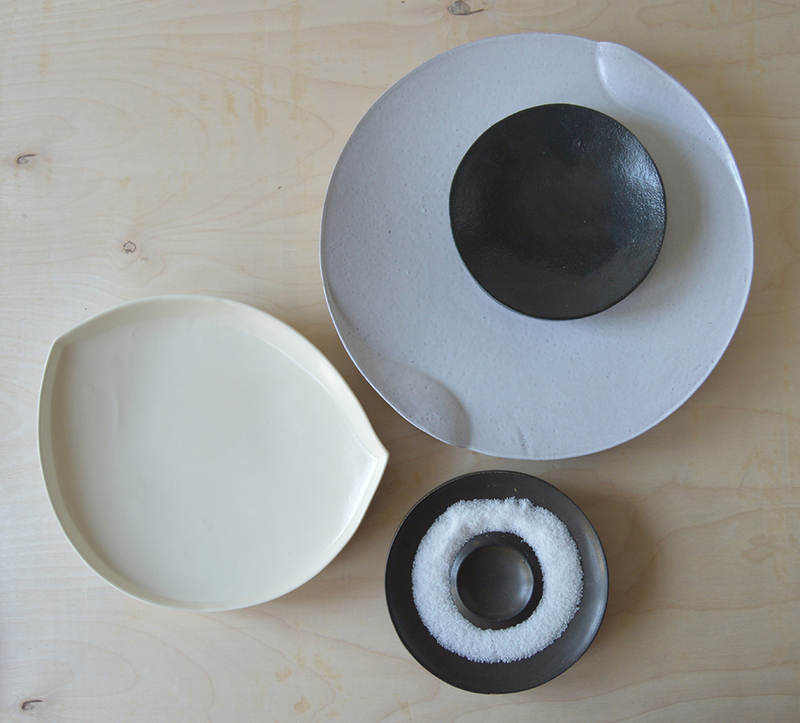 This pairing is a deliberate gesture to elevate both the food and the handmade ceramic vessel. 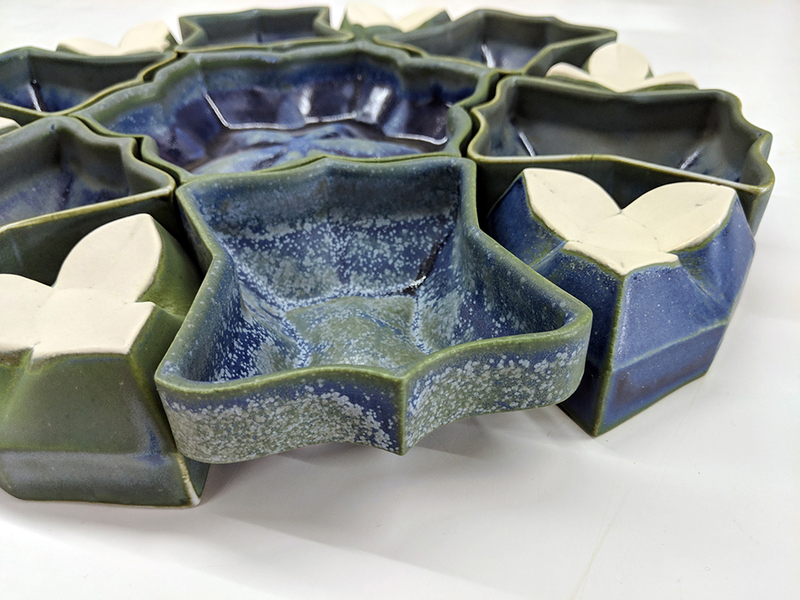 This dedication to create vessels that collaborate with locally grown and homemade food exposes both the food and ceramic objects as beautiful fruits that only come from a significant amount of labor. 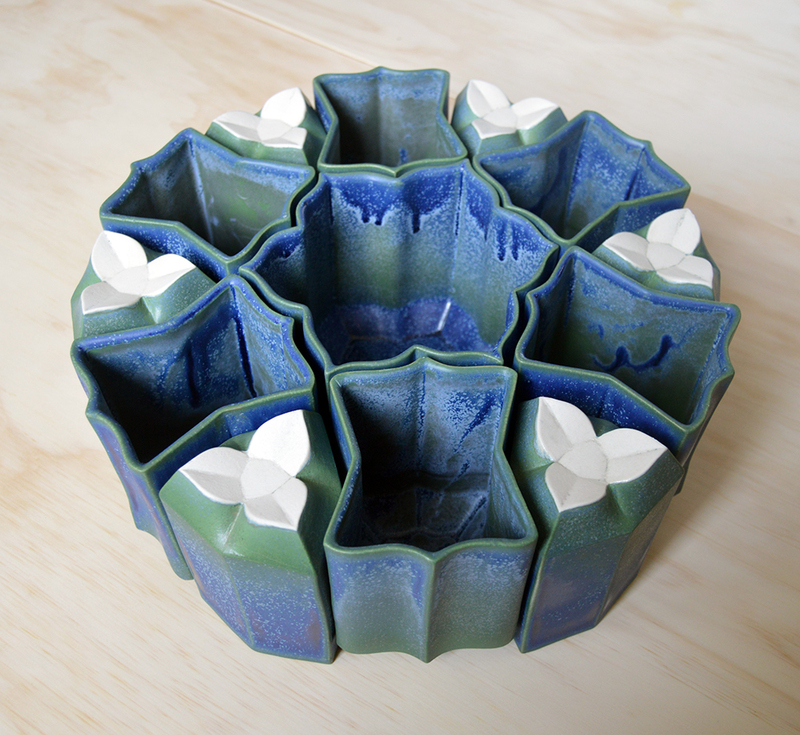 Sarah Heitmeyer is a ceramic artist whose work is based in creating a calm, beautiful moment. 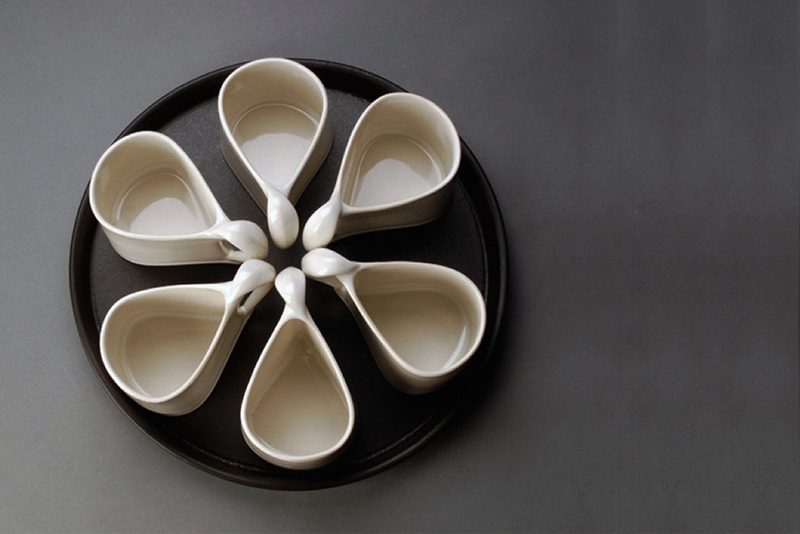 Sarah’s collections of tableware vary in complexity, reflecting the many processes she uses to create them. 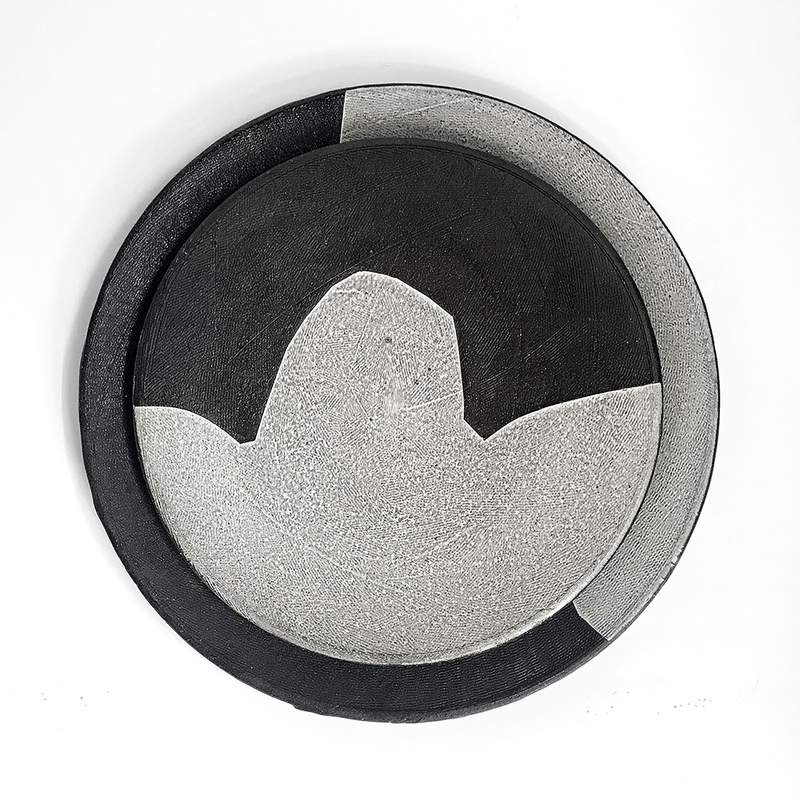 She blends hand and design based techniques such as throwing with molds, pressing clay into CNC milled forms, and slip casting. Ultimately, her mission is to unite material expertise with practiced craftsmanship that dissolves within an object of beauty. Sarah received her MFA at the State University of New York at New Paltz and BFA from Alfred University. She completed a post baccalaureate program at Colorado State University. Sarah exhibits her work nationally, including at The Clay Studio in Philadelphia, PA, Radius Gallery in Missoula, MT, the Women’s Studio Workshop in Rosendale, NY, The Rochester Contemporary Arts Center in Rochester, NY, the Archie Bray Foundation in Helena, MT, the Dorsky Museum of Art in New Paltz, NY, Pewabic Tile in Detroit, MI, and at the Williamsburg Art & Historical Center in Brooklyn, NY. She has worked for KleinReid, Polich Tallix, Kala Stein Design, ModCraft Tile, SUNY New Paltz, and the Hudson Valley Advanced Manufacturing Center. 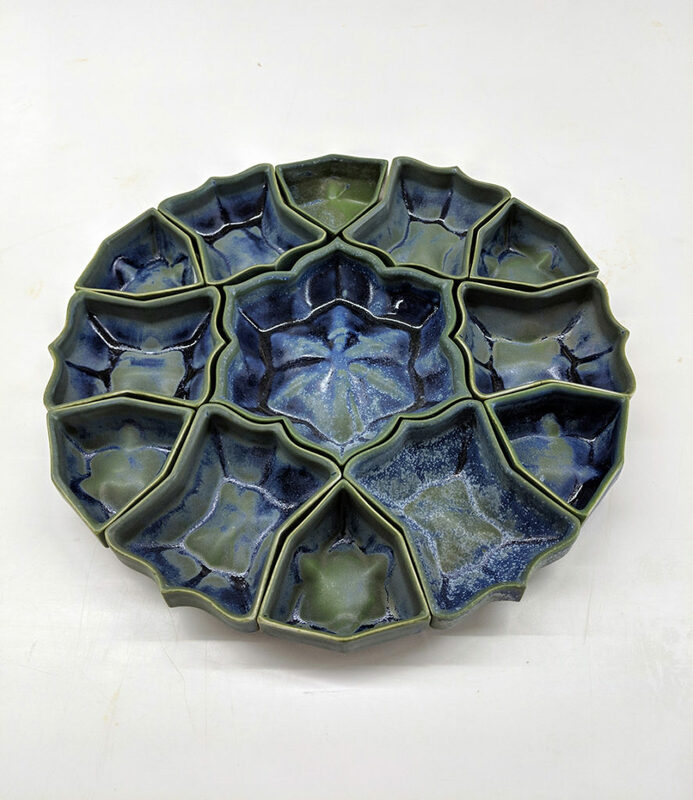 Sarah teaches ceramics at Art Centro in Poughkeepsie, does freelance CAD design, and works in her studio in Fishkill, New York.